Sales Managers are often promoted from within the sales force, more on the basis of previous sales success, than on management potential. Does this apply to you? Maybe for the first time in your career, you are measured on the results of others, (who may not sell as well as you do!) This can lead to the misconception that the manager's role is solely to lead by example, which may be appropriate for less experienced salespeople, but is usually seen by “old hands” as interference, or even an “ego-trip” for the boss. So what is the appropriate process for a newly appointed sales manager? Let's start with one of the simplest and best known models of management, developed by Koontz and Fayol, and shown above. 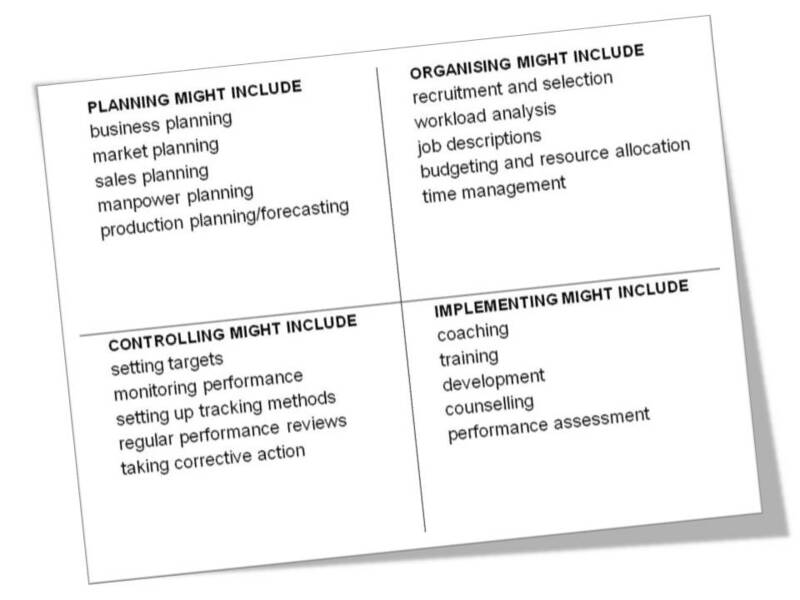 In this context, Management is seen as the process of achieving planned results through the activities of others, and it involves the productive deployment of resources through planning, organising, implementing and control. The right hand panel lists some of the typical activities nominated by our students in each quadrant, although there are obviously some blurred lines. Coaching, for example, has strong aspects of quality control as well as implementing, and performance reviews, (clearly a control activity) must link back into planning for the future. And where is motivation, you might ask? - such a critical area for sales people who work unsupervised most of the time. 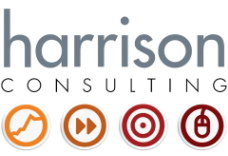 We do not include motivation in the diagram because at Harrison Consulting, we do not see it as a separate activity. Motivation runs through everything the manager does and is dependent on how it is done. Motivation is sometimes seen as the thread which holds the process together. The sales manager's role is usually complicated by a geographically dispersed sales force, working unsupervised most of the time. Then there is the erosion of skills due to customer resistance, and the difficulty of maintaining motivation. In many companies, the roles of the Sales Manager also includes significant Account Management and direct selling responsibility, which means that managers need to be dedicated and skillful in their personal planning and productivity. In terms of the Fayol chart above, this means that implementing could also include the direct activity of the manager; in sales management this would include direct selling activity. Although not a management activity in the pure sense of the word, it is still an important part of the job for many sales managers. For a more detailed review of the sales manager's role, keep your eyes open for Part 2 of our popular e-Book "10 Steps to Effective Sales Strategy" due to be published soon. Want us to reserve you a copy? Use the form at the bottom of the page to register for news and updates. Part 1 was published recently... CLICK HERE TO DOWNLOAD PART ONE OF THE SALES STRATEGY E-BOOK.